The western Algarve, a land away from the touristy towns of the central coast, is an area of stunning cliff tops, quiet fishermen's villages and lush green interior. It's also a birdwatcher's paradise and whilst autumn and spring bring in the huge migrations, winter sees numerous endemic bird species. Winter is more akin to springtime in the UK, meaning you can enjoy the warm temperatures and beautiful beaches of the Algarve from September right through to May. Our six night holiday takes you along quiet roads and sun-kissed cycle tracks. You'll cycle along beautiful coastlines enjoying a mix of golden sandy beaches and rugged cliff tops, and pass through pretty villages, some of which seem unaffected by the outside world. Country lanes take you into the lush green interior passing large reservoirs, alpine-like meadows and rich holm oak forests. Visit the historic maritime towns of Sagres and Lagos; Henry the Navigator lived here, and built his own fortress at Sagres, near to where you'll find Cabo de Sao Vicente, Europe's south-western cape, with its iconic lighthouse and fascinating museum. We have hand-picked three wonderful hotels all with their own charm. These include a modern 4-star design hotel perched on a cliff in Sagres, a 4-star hotel in Lagos full of Portuguese colonial charm and a hotel in Pedralva, where the village houses have been rustically renovated to create individual rooms. All hotels have pools with Sagres and Lagos boasting covered ones. Most evening meals are included so you can dine on the freshest salads, seafood or excellent meat accompanied by tasty cheeses and chouricos, washed down with a selection of Portuguese wines. Arrive at the wonderful coastal town of Sagres in time for dinner at the hotel. From Sagres head inland, mostly following the Ecovia, a national cycle trail. Pass shepherds tending their flocks before meeting the coast again in time for lunch. The villages of Salema, Burgau and Luz have great sandy beaches and offer rustic restaurants with al fresco dining; grilled fresh fish with zesty lemon is a favourite dish. You end the day at Lagos and your wonderfully atmospheric 4 star hotel. Lagos is encircled by 14th century walls - the stone work and architecture you'll find hidden within these is a delight. Ornate churches date from the 13th century, and tangled cobbled lanes lead to new discoveries around every corner. Visit the new marina and the lively fish market (held daily), and join the locals for coffee in one of the many bars. Popular coastal walks lead to Ponte da Piedade lighthouse and from Porto de Mos to Luz, both offering outstanding sea views. You have a choice of routes today, with both taking you along the promenade at Lagos, before heading inland to Odiaxere where you can choose a shorter option that has fewer climbs and takes you through lovely villages on winding roads, giving you a real insight into local life. The longer route takes you past the beautiful Bravura reservoir and pretty alpine-like hamlets and meadows, meeting the coast in picturesque Carrapateira. Then it's on to Pedralva, a village where each house has been restored to create individual hotel rooms. Aldeia da Pedralva is a wonderful rural retreat and you could easily spend the day relaxing in the village. If you fancy doing more you can follow one of our routes taking you out along the cliff tops with great views of the coast, or return to Carrapateira to visit the Land and Sea Museum and have a leisurely lunch. There's two options today but both routes are fairly short allowing you time to visit the lighthouse at Cabo de Sao Vicente and Sagres Fortress, built by Henry the Navigator. The longer route is on off-road tracks passing holm oak forests. Both routes give great views of the Serra de Monchique passing through Vila do Bispo, a nice lunch stop with its beautiful 17th century church. From Vila do Bispo head out across the Vicente peninsula to Cabo de Sao Vicente and the southwestern tip of Europe before following the coast road back to Sagres. During your holiday you stay at the following hotels. If you'd like to extend your time at any of these or, if you'd like to enhance your stay with an upgraded room, just let us know at the time of booking. If you'd like to keep your bikes with you for any extra nights we can arrange this for you for just £25 per adult per day. 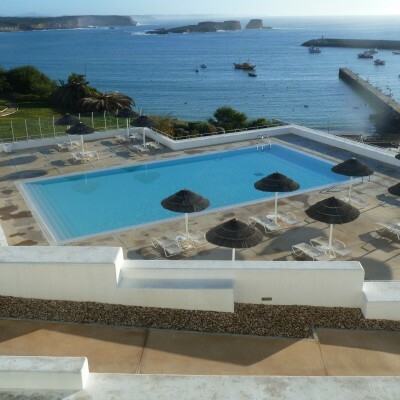 This designer hotel is perfectly situated overlooking the stunning bay on the edge of Sagres. The rooms are minimalistic in design and feature all amenities. The restaurant here prides itself on serving the best of the local seafood, whilst the hotel offers free use of the Turkish bath, sauna and indoor pool, the perfect tonic after a day exploring this stunning area. Room upgrades: Double Frontal Sea View, 1 Bed Suite Land View, 1 Bed Suite Garden View or 1 Bed Suite Frontal Sea View. The Superior room is a larger room. All suites have separate living areas and come with dvd players and bathrobes. Extra nights: Please contact us for details. Tucked away just a kilometre from Lagos old town this lovely hotel offers a relaxing tranquil stay. The rooms are different depending on which villa you stay in mixing a multitude of Portuguese and colonial designs. Food here is a real Portuguese affair including a complete breakfast section of Portuguese specialities. It is easy to walk to Lagos old town, the Dona Ana beach, one of Portugal's best and the famous light house at Ponta da Piedade. This is a magical place, a real find. Just 10 years ago the village of Pedralva was a ruin with houses just left to rot by owners who no longer wanted to live in the countryside. However, Antonio Ferreira, your host at the Aldeia da Pedralva, initially decided to buy a couple of houses, but eventually renovated 24 which have been beautifully restored to create 24 rooms. The village itself is surrounded by verdant nature parks and offers great walking and cycling possibilities. Food here is rustic Portuguese, simple in terms of ingredients but mouth watering in terms of quality, flavour and freshness. If you'd like to extend your trip with extra nights at the start or end, or if you'd like to arrange a stop off point en-route, then we recommend the following hotels. The Pousada de Sagres, Infante, is a lovely hotel with 270 degree views of the Atlantic sea below. On the west side there are great views of Sagres Fortress and Cabo de Sao Vicente in the distance. The hotel has a lovely outdoor pool with views of the fortress, there are also massage rooms and a large lounge. The rooms all have balcony or terrace and sea views. 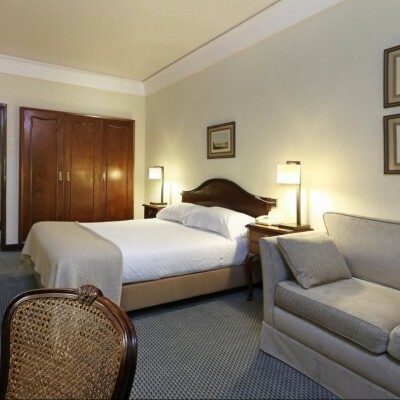 Room upgrades: Superior Room, Superior Sea View or Special Suite. Superior rooms are larger and have balcony with partial sea view and garden view; Superior sea views are larger and have balcony with frontal sea view; Special suites have living room, front sea view and balcony. The Pousada de Faro is situated in the small village of Estoi, just a 25-minute bus journey or 15-minute taxi ride from Faro. Set in the hills overlooking Faro and the coast, this wonderful hotel was born from the ruins of the Palacio de Estoi. A 18th century Rococo palace once owned by the viscount of Estoi, it has been painstakingly restored to its former glory and provides a relaxing haven complete with beautiful pool just above bustling Faro and just a 20-minute walk to the Roman excavated village of Milreu. Whilst keeping an eye to the past, the rooms have a modern fresh feel, they are all a good size, with views down to the coast. The hotel boasts a large spa complete with sauna and Turkish bath. There is a nice restaurant offering set menus and a la carte. Suites are slightly bigger and offer a south facing balcony. Owned by the same family since 1953, the 4 star Hotel Lisboa Plaza is an imaginatively designed hotel, just off the famous Avenida da Liberdade. All rooms have en-suite marble floored bathrooms, air conditioning, satellite television, direct dial telephones, hairdryers and mini-bar. The public rooms are elegantly furnished and there is a pleasant bar and dining room. Transfers included from Faro airport at 11:50 Oct & Apr-May, 16:05 Nov-Mar, and back to Faro airport at 09:30 Oct & Apr-May, 13:30 Nov-Mar. Excellent service from Headwater throughout, representatives Tony and Ludmilla most helpful and ensure that everything is organised and correct for a great experience and a holiday with no worries. Ideal hotels, lovely countryside and coast with options for routes to suit the individual, and with the GPS app you can't go wrong. Highly recommend. Having a "winter' cycling holiday is a great idea, and going through the Algarve during off peak season was a wonderful way to see the region. We really enjoyed going off the beaten track, through lanes and villages, and staying in interesting places like Pedralva (but a note of warning - its colder there than anywhere else in the trip so bring warm clothes!). The bikes were excellent! In spite of the sometimes quite rough terrain there was not a single puncture nor any issues! As usual, the trip was well organised, the accommodation and food very good, as we now expect from Headwater. The Ride with GPS is also brilliant and makes navigating a loss less stressful. Thank you for yet another great holiday! This was our first Headwater cycling holiday and it was excellent in every way: choice of routes, route guidance (especially Ride with GPS), type and quality of bikes, location and quality of hotels, and transfers to/from the airport and luggage between hotels. Special mention of the local reps, Tony and Ludmilla, who were always friendly, helpful and efficient, with the right amount of advice at the right time. We are both over 70 but had no difficulty with this grade 2 holiday in the 'real' Algarve. We were lucky with the weather in mid October: 20C and sunny during the day but heavy rain at night. Waterproofs essential at that time of year. All in all, a memorable holiday. We loved cycling this part of Portugal. At this time of year wild flowers were everywhere, enhancing our coastal and country rides The 2 headwater reps were really helpful and considerate in ensuring that we 2 technophobe senior citizens were able to fully enjoy the benefits of the Ride with GPS system. ( We had been provided with paper route guidance as back up but thanks to the reps this was not really needed) The rides were slightly challenging for us but we loved the coastal views and villages as well as the countryside - staying in the reclaimed village at Pedralva was a great experience, including the local bread stew We have enjoyed several Headwater cycling holidays in the past and we feel the standard has just continued to improve. Fabulous cycling amongst Spring meadows. Fabulous flowers, rugged coastline and interesting villages. An excellent introduction to a cycling holiday abroad. Everything was made simple and the bikes provided were superb. Easy to follow notes and fantastic accommodation at the end of each day. Would definitely recommend to others. The routes were excellent; a mix of terrain and stunning scenery. We enjoyed the off-road sections particularly the optional coast and river valley route on our free day at Pedralva. We went in January and whilst the roads were very quiet it did mean that many cafes and restaurants were closed and the hotels were quiet. The weather is changeable at this time of year. We had one day of wind and steady rain but we went prepared for variable weather so this didn't spoil an enjoyable day cycling. We would like to do this route again in the Spring when the flora is in bloom and the birds are migrating. An excellent cycling holiday which brings you the delights of the western Algarve coast and hills behind Lagos. Fantastic scenery, super hotels with the delights of local food. The sardines in Salema were wonderful. Pedralva is a real find. All well delivered by the Headwater team. 'Wonderful holiday! Delightful (and very) varied accommodation, excellent food and terrific sights and smells in some wonderful countryside. But this can be a physically demanding cycle tour, so do ensure you are prepared to cycle - or push - your bike up some stiff hills. The toughest Headwater cycling holiday I have been on, due to the preponderance of off road some of which was quite rough and steep, plus the fact that for two and a half days of the three days cycling there was a strong cold headwind, therefore I think the grading should be changed. A challenging cycle experience in variable weather, with far reaching views at the end of Europe. I was fortunate to have absolutely perfect weather and low wind levels for my cycling trip to southern portugal.. a very enjoyable experience and would definitely do a repeat. Excellent hotels, and food . First visit to the Algarve and first cycling holiday. Hard work for a couple of days but the rewards matched the effort. Lovely locations and hotels had top quality staff. Our two reps were lovely and incredibly helpful. We have used Headwater only a few times over 20 or so years, but every time the holiday has been special. That is why we have always looked them up when considering a trip overseas. Extremely well organised , with excellent local representative (Tony) who provided additional information and support without hesitation. Also provided local maps and timetables for my time in Faro which allowed me to enjoy that day, he also informed me about the industrial action at the airport which allowed me to make appropriate arrangements. A very nice holiday. The cycling was generally very good. It is a little hilly so is certainly a grade 2. There was a little bit more off road than we expected and one part of this was a particularly bad track which was slow going. Everything else was fine. The accommodation was good. This was a lovely holiday.The wild flowers were magnificent and the scents of orange blossom and fresh herbs will long remain with us.We enjoyed the variety of different tracks and the headland loop at Amado beach was stunning.The bikes were excellent with especially low gears for those hills,and the tour notes were pretty good. The welcome at all three hotels was genuinely warm and the accommodation very comfortable, except at Pedralva,where the bed felt like a marble slab, and gave us a restless 2 nights. The food and wine was fresh, wholesome and very well prepared.We thoroughly enjoyed this break and came back feeling refreshed and invigorated. We will definitely consider Headwater when choosing our next holiday. Fun. We enjoyed our visit to Portugal. Excellent cycling on wonderful bikes. Tony and Ludmilla were fantastically helpful and we were especially grateful that Tony picked us up from not the usual collection point. The notes were perfect and we were very lucky with the weather. The suggestions for rest days were also very good. Hotels all fine, especially Memmo. Pedralva rooms could do with better heating and much better lighting but the bar and restaurant areas were very good . Food at Pedralva was excellent. Would definitely recommend the holiday and commend highly Tony and Ludmilla who definitely had a 'nothing is too much trouble' attitude and who clearly enjoy their roles. Thank you very much. Seamless from start to finish with excellent opportunities to explore and relax in equal measure. Surprisingly quiet routes, wonderful scenery and sunshine, excellent food. Pacing suited us with a day's cycling followed by hiking on our rest days. Pedralva was a highlight in all respects from accommodation and surroundings to food. Excellent Holiday and very knowledgeable and helpful Representative. A great place for a cycling holiday. The routes were good and varied. Cycling through fantastic scenery in mimosa eucalyptus pine scented warm air within a day of leaving flood & storm ravaged UK - wonderful. Tony & Ludmilla are great hosts. Their warm welcome quickly overcame the effects of a long laborious day long journey via Lisbon - Faro & taxi halves the travel time at little if any overall extra cost. The 2 hotels we stayed in are 2 of the best we've had in 20yrs of Headwater holidays. 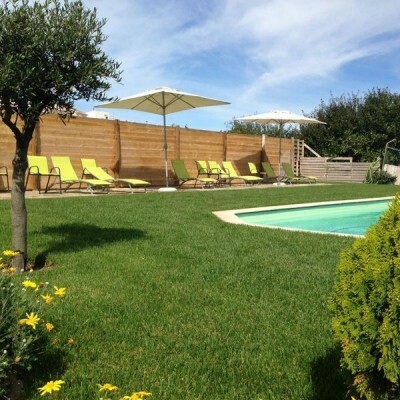 However Pedralva - it no doubt has it's charms but is basically self catering units more suited to summer use. Compared to our 2 previous stops the welcome here was 'grumpy' & our room was cold gloomy & oppressive - more like a cell with 2 v small windows looking straight out at other houses across narrow streets at eye level so no privacy in the bedroom or sitting area without closing little shutters making it even gloomier. The shower room was unheated & there was no hair dryer. A Youth Hostel style kitchen dominated our sitting area - a dirty hot plate, a dustpan & brush in full view as also a slop bucket (ugh) & the upmarket 'coffee making facilities' were of no practical use as no pods - a simple kettle would be much better & more welcoming. The swimming pool is outdoors & was not available so no 'relaxing by the pool' & given the cold location of Pedralva I doubt would be for many of the Headwater months. I was unable to access wifi on my iPad at the designated spot in Reception - I did on the 2nd night with some perseverance find a tiny area in the Bar where I could get a signal. Ah - the Bar! & it's tender & the food he serves in the evenings are the outstanding highlight of Pedralva - make the most of it - the breakfasts are fairly meagre. We felt Pedralva fell short on many of the facilities promised in the Headwater description. We were pleasantly surprised by the professional way everything was handled by office staff. The reps who were new to the area were so helpful and were even working on new tracks as alternatives the night before we would use them. It was a lovely relaxing holiday with just the right amount of activity,also the pleasant weather for time of the year helped. Lovely holiday. Headwater made all it very easy. Leisurely cycling - nice mixture of exercise and relaxation. Excellent food and accommodation. Excellent organisation and welcome / support from local Headwater reps. Interesting terrain and wildlife. The prices quoted for each individual departure supercede those published in our current brochures. Air prices are subject to change and we advise early booking to obtain the best prices. Please see our Planning your holiday and What's included in the price? pages for additional information. Self-guided cycling Managed locally by Headwater appointed rep.
Every two days from 22nd Apr 2019 to 22nd May 2020, for 6 nights. All dates are subject to availability, please contact us to check. Due to the tailor-made nature of our holidays, we need a little more information in order for us to check availability for Cycling in The Real Algarve. Simply complete the form below and a member of our sales team will contact you (when it's most convenient for you) to provide availability information, travel options and an accurate price. Of course there's no obligation, but if you do wish to proceed with a booking they will be on-hand to assist you throughout the process. When should we contact you ASAP --- ---Tomorrow 9am - 1pm Tomorrow 1pm - 5pm Tomorrow 5pm - 7:30pm ---Wednesday 9am - 1pm Wednesday 1pm - 5pm Wednesday 5pm - 7:30pm ---Thursday 9.30am - 1pm Thursday 1pm - 5pm Thursday 5pm - 7:30pm ---Friday 9am - 1pm Friday 1pm - 5pm Friday 5pm - 6:30pm ---Saturday 9am - 1pm Saturday 1pm - 3:30pm ---Please reply by email We can call you when it's most convenient for you, or contact you by email if you'd prefer. During busy periods we cannot always guarantee a specific call time but we promise to try our very best.